Victory Imasuen, the Nigerian slavery victim whose story on CNN sparked a global outcry about human trafficking in Libya, has given a vivid account of how he left the country and his friends’ ordeals in Libya. Also Read: De Genesix Hotel Shutdown! The Edo State indigene, whose emotion-laden interview with CNN’s Nima Elbagir in a Libyan deportation camp was viewed by millions worldwide, shared his life-experiences in T.B. Joshua’s church on Sunday 3rd December, 2017. The young barber explained that his father died when he was just eleven, adding that he struggled to sponsor himself through school along with his five siblings. “When I was cutting the hair of one of my customer’s, he advised me to go to Europe where he promised I could earn a lot of money,” Victory recounted. “I asked the man how much it would cost me. He said N350,000 but I said I only had N140,000 with me.” Victory had determined to be saving N10,000 monthly for over one year before this deal arose. The man promised to ‘help’, not knowing that Victory was naively about to use his own hard-earned cash to sell himself into slavery. Victory said he and ten other Nigerians were ‘sold’ and then “locked up in one small room”. More than 200 slaves were kept inside that inhumane cell. “They started beating me to call my mother to send money. 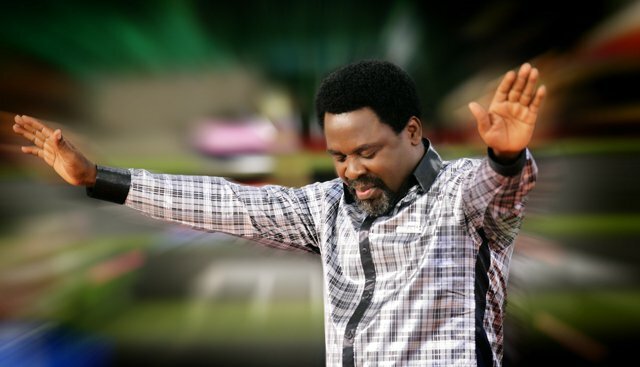 That was when my mother learned I was not in Nigeria - because I did not tell her before I left,” Victory admitted. The ransom they demanded - N200,000 - was simply too much for Victory’s poverty-stricken mother to raise. Victory was beaten three times daily for eight grueling months. That was his fate as a male. When a picture of Victory’s emaciated condition was circulated in his local community, they managed to come together to raise the money to secure his freedom in March 2017. 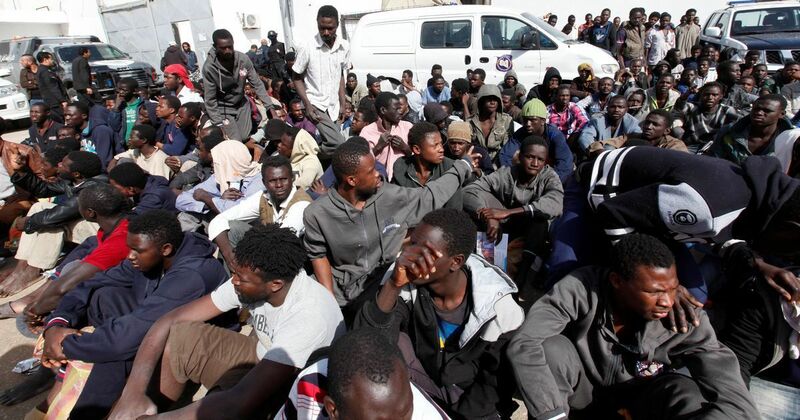 After gaining his freedom, Victory attempted to travel to Tripoli, hoping to join the thousands of illegal migrants who would brave the sea to try and reach Italy by boat. While suffering the horrific prison conditions, Victory hatched a plan to reach the deportation camp. He slipped a note into the female section of the prison, pleading that any of the ladies who was being taken for deportation claim he was their husband. The ruse worked and Victory was taken to Tripoli’s main deportation camp - one step closer to being repatriated to Nigeria. It was there Victory granted an interview to CNN. “I decided to speak to them, hoping to get help but at the end, nothing came out of it,” he bemoaned. Through the intervention of the International Organisation for Migration (IOM), Victory was finally deported to Nigeria - with nothing but the clothes on his back to show for his “journey through hell”. T.B. Joshua, who had just turned from the Dominican Republic, gave the two men each N200,000. Victory could not hold back tears as he received the gift. Joshua’s support to the duo is not an isolated instance. 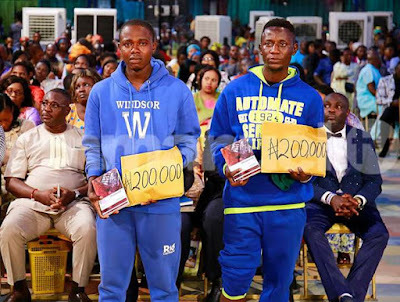 This week alone, the cleric gave over N4.4m to Nigerians returning from Libya, and well over N100m ($277,000) has been provided to them by The SCOAN since 2016.